Buying a home is one of life’s biggest milestones. It’s no surprise then that making the decision to buy takes a lot of thought and consideration. Home-buyers are embarking on a journey that can be as daunting as it is exciting. With so many homes to choose from, it is often difficult for buyers to find “the one.” That’s why first-impressions tend to have the biggest impact on a buyer. Remember, a buyer typically spends only a few minutes in each home before they’re off to see the next one on their list. 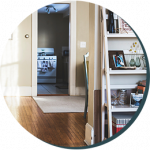 What they see as they walk through your door can quickly determine how likely they are to look a little closer at your home and consider making an offer. Here are six easy things you can do on your own to make sure that vital first impression for buyers is the best it can be. You might love the little quirks and charming details that you’ve built into your home’s decor over the years, but buyers need to see a blank canvas onto which they can project their own ideas. They need to envision the home as their own. This means toning down any striking colors, wallpaper patterns, or other features which might not necessarily appeal to everyone. Go through each room and apply a bit of paint where it’s needed, using neutral, light, and understated colors that show your home’s features off at their most pure. Similarly, while it’s easy to think family photos and heartifacts create a welcoming and homely atmosphere, they can be incredibly jarring to a potential buyer. Too many personal items will make prospects feel like they’re intruding – that they’re strangers peering into someone else’s life. That’s a pretty negative emotion you don’t definitely don’t want to evoke. 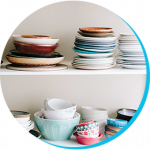 Be obsessively thorough when decluttering your rooms, removing as many possessions and personal mementos as you possibly can. Not only will this reduce the intrusion effect, but it’ll make your home look brighter, cleaner, and more spacious. 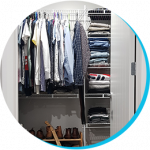 And what’s more, sparsely filled spaces are easier to keep neat and tidy in case you need to receive a potential buyer at short notice. 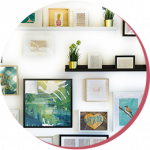 If your home features artwork or other decorations hanging on its walls, take a close look at them with an unbiased eye. Consider that your tastes might not necessarily match those of the average buyer. While a touch of individuality is fine, ask yourself if any of your choices be in any way distracting, unpleasant, or even offensive to a visitor? We love flare, but it might be best to be conservative to the point of boredom. Don’t let anything get in the way of a buyer appreciating your home’s fundamental appeal. 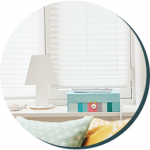 Keep your window drapes light and minimal, or even replace them with simple, stylish blinds if it fits your decor. The idea is to let as much light in as possible since it increases the sense of space. In particularly small or dark rooms, try removing ornaments or houseplants from the windowsills to make the most of what natural light there is. And if you have a window box outdoors, make sure the plants in it are trailing varieties that keep a low profile. Help your home to feel spacious and welcoming by leaving all your inside doors propped open. Make sure buyers have a clear path to take when touring your property. Don’t expect them to walk around inconveniently placed objects such as footstools or unnecessary coffee tables. Creating a sense of space and freedom is essential. Along with making your home look spacious, neat, and inviting, take some time to address any minor defects and issues that you’ve let slide over the years. 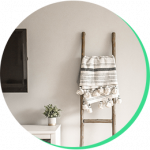 You might not even notice that creaking floorboard or dripping tap anymore, but those are just the sort of little things buyers notice and can add up quickly to give a poor overall impression. You don’t need to spend a fortune on renovation and repairs, but make sure you don’t send out an image of creeping neglect and carelessness. Selling a home requires a good bit of luck, but you don’t have to be a bystander in the process. 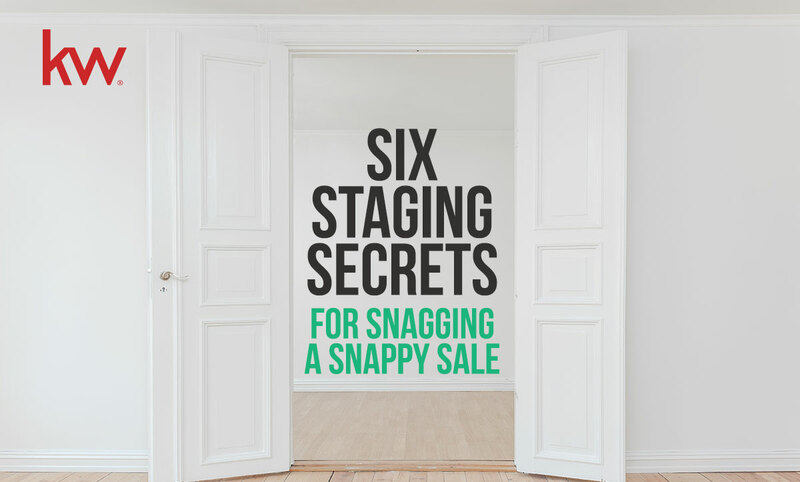 Effective staging and prep can ensure your buyers have a great and positive impression from the second they step through your door, making it much more likely that everything else will fall into place.